How common is "backwards" pitching in Major League Baseball? For example, a city government might respond to citizens' concerns about rising crime or traffic congestion by analyzing 3-1-1 call center data, police department incident data, and the traffic department's sensor data to form an understanding of the nature of these problems in the city. Then, the city might design experiments (e.g., community policing strategies in sample neighborhoods) or examine prior strategies (e.g., traffic control measures implemented in the past five years), and use machine learning techniques to predict the impact of proposed solutions to the current problems. An important element of our philosophy is to focus on the needs of the people consuming analytical products--the decision-makers who will use these products to inform their actions. We are strong believers in an agile, iterative approach to our engagements with clients. Just like software development projects, analytics projects benefit from implementation in small increments, with frequent end-user feedback driving the evolution of the products. 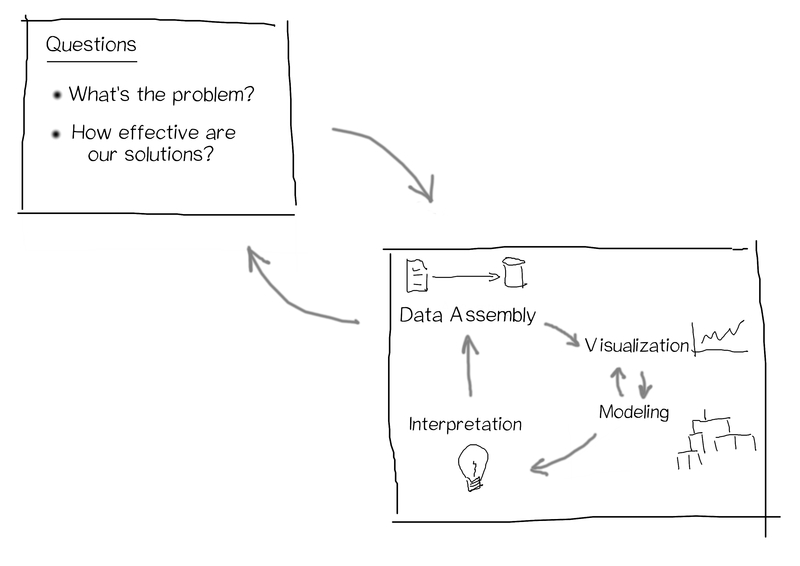 We find that often the questions change as a project iterates, and even if the questions remain more or less the same, the choice of models or visualizations used to answer those questions typically morph as decision-makers start to use them. Iterating rapidly and constantly assessing the value and fitness of analytics products reduces the chance of a project wandering off track or disconnecting from the client's needs. Thus we ask our clients to engage with us as partners, and to make the investment of time necessary to evolve analytics products to address their key questions. It is always an investment that pays significant dividends in the end. Copyright © Cascadia Analytics LLC. All rights reserved.